This one brings back memories! Although I didn't pick up Bubblegum when it was on counter, I vividly remember browsing the displays when the Spring Colour Forecast collection was released. I was on a rare trip to Auckland from Hamilton, back in the days before Hamilton had its own MAC counter. Hard to believe that now, living in Lower Hutt, I can duck down to the mall ten minutes away to browse any old time, instead of it being a rare, hallowed trip. But I digress. The Spring Colour Forecast collection, released early 2010, was MASSIVE. With four different colour stories, each with their own tonal display, it marked the introduction of the Blush Ombres and Crush Metal pigments. I bought Hot Hot Hot eyeshadow at the time, which I no longer have and somewhere along the way I acquired Bubblegum lipstick too. It's a really fun colour that I don't reach for as often as I should but always enjoy when I do! Bubblegum is described as a 'light lavender pink' and has a Glaze finish. It's semi-opaque with even coverage and fine gold sparks peeking through. 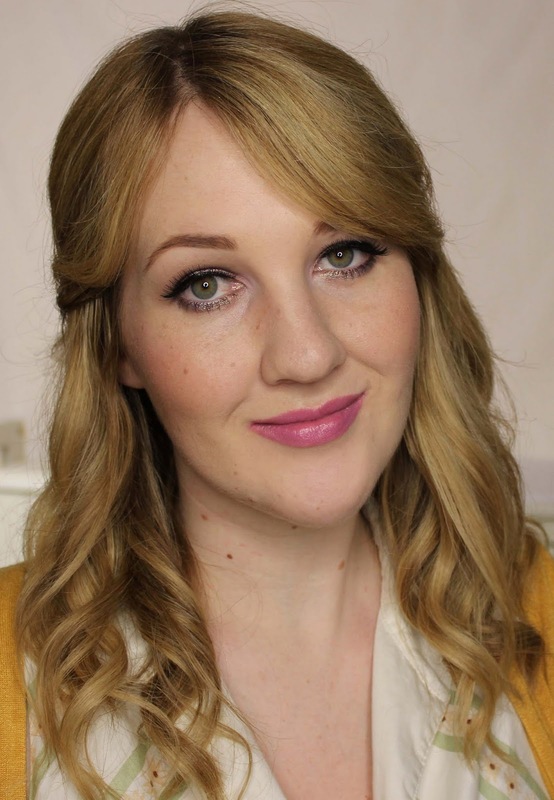 Being on the pinker side of lavender makes it quite easy to wear, although my eyeshadow choices in the picture below weren't the most complimentary - whoops! 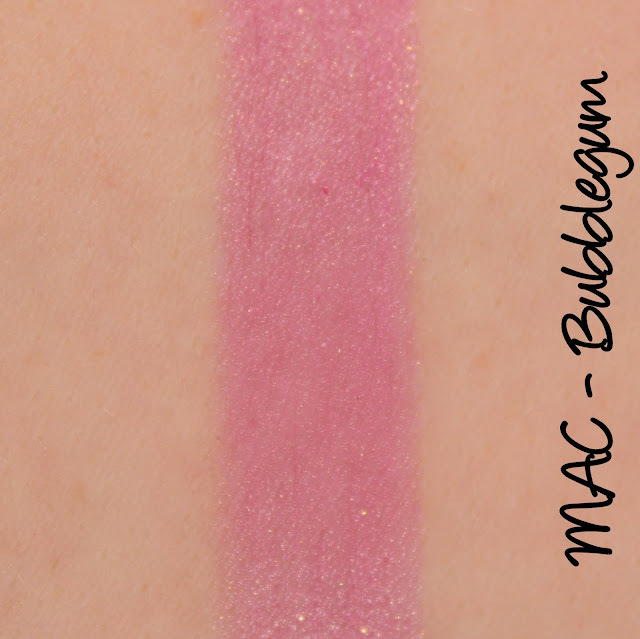 Being a sheer and sparkly Glaze finish, Bubblegum isn't terribly long wearing, only lasting three hours on me, but it isn't drying and the sparkle stays within my lip lines. No errant flecks of glitter on my chin, which is always reassuring! 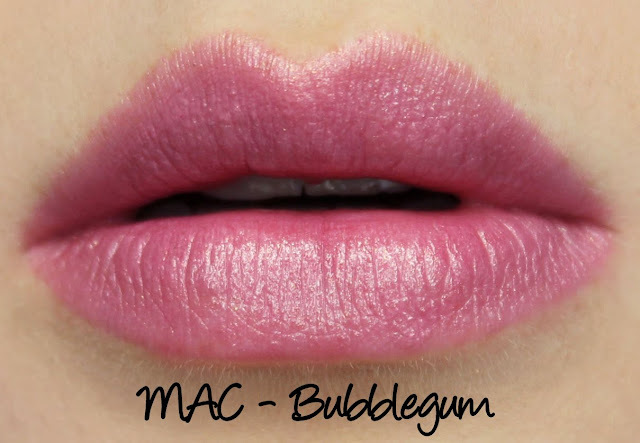 What do you think of Bubblegum?